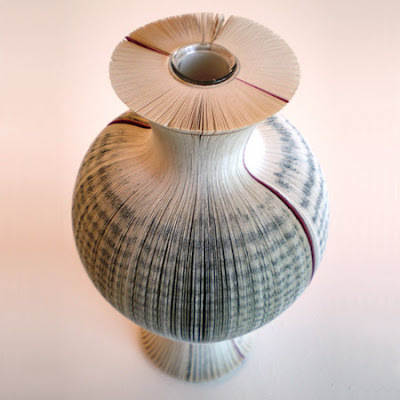 As a bit of a bibliophile (well, I own a lot of books, I'm not revealing how many I've actually read), I am really drawn to these vases and lamps by young English designer Laura Cahill. 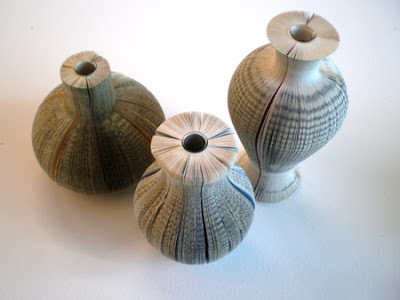 Laura uses second hand books to help these books find a new purpose in life - the glue in the spines make books difficult to recycle. 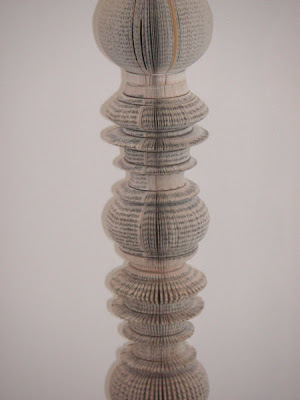 I especially like the use of hardback books to make a table in the top photograph. 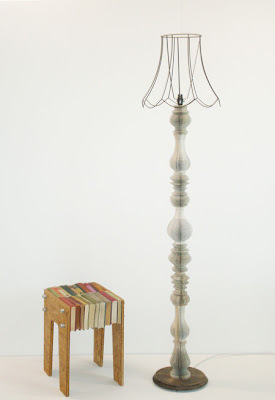 If you had a choice, which books do you think would make good side table fodder?